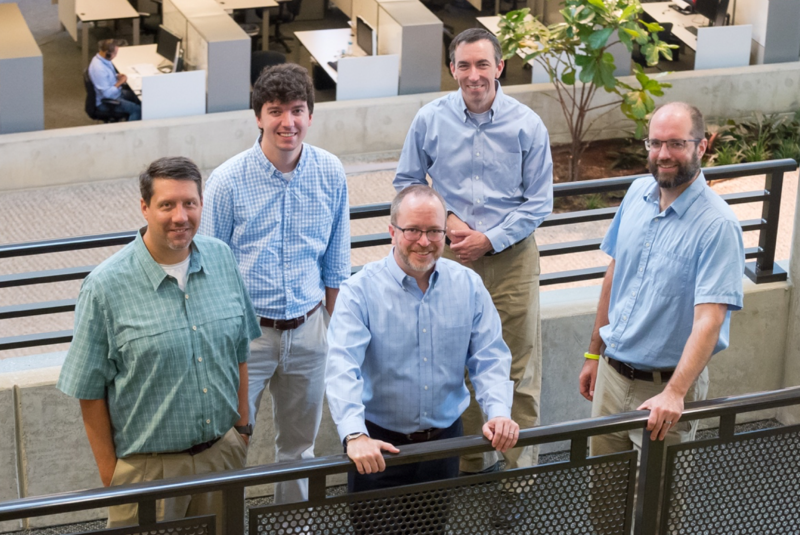 Darshan team from left to right: Kevin Harms (LCF), Shane Snyder (MCS), Philip Carns (MCS), Robert Ross (MCS) and Robert Latham (MCS). Darshan has won a 2018 R&D 100 Award. The award is given by R&D magazine to the 100 top new technologies for the year, selected from 180 projects chosen as finalists. Darshan is a joint effort of four members of Argonne’s Mathematics and Computer Science (MCS) division – Philip Carns, Robert Latham, Robert Ross, and Shane Snyder– in partnership with Kevin Harms of Argonne’s Leadership Computing Facility. The award winners were announced at the 2018 R&D 100 Awards and Technology Conference in Orlando, Florida, on November 16. Three other projects at Argonne were named 2018 R&D 100 winners and one was named a finalist. See the Argonne website for further details: https://​www​.anl​.gov/​a​r​t​i​c​l​e​/​f​o​u​r​-​a​r​g​o​n​n​e​-​t​e​c​h​n​o​l​o​g​i​e​s​-​r​e​c​e​i​v​e​-​2​0​1​8​-​r​d​-​1​0​0​-​a​wards.